The Limited Edition Fine Art Print are made on museum quality paper with a fine structure. The quality of the paper is Hahnemuhle, the best paper for fine art printing. This museum quality paper is handmade. The prints are of a very high quality, are very detailed prints, with bright, sharp colors and smooth color transitions. The paper is acid-free, which means it is free from chemical whiteners. The lifespan of this paper is at least 100 years! Frame is not included due to the risk of breaking during transport. This Limited Edition Print can be mounted directly onto the wall, while a frame is included. 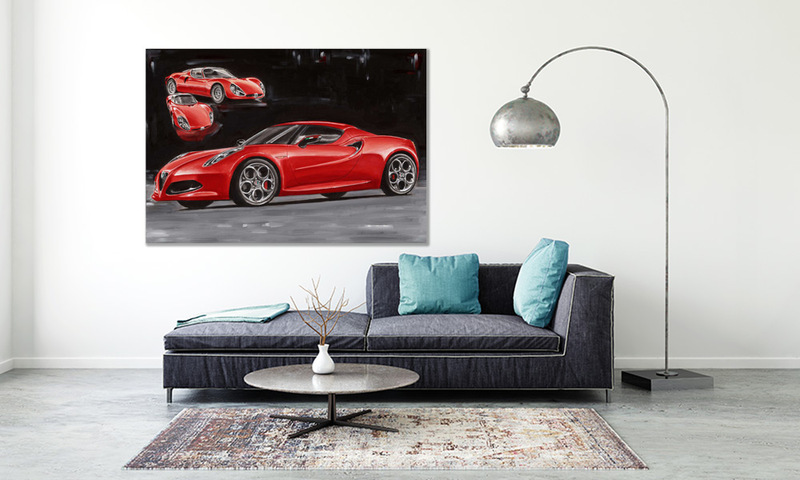 This Artist Canvas Edition is printed on high quality canvas that is coated and of long lasting quality (with a shelf life of more than 100 years). Size of these Artist’ Canvas prints is 60 x 90 cm cm and are stretched on a wooden frame and ready for hanging on the wall. 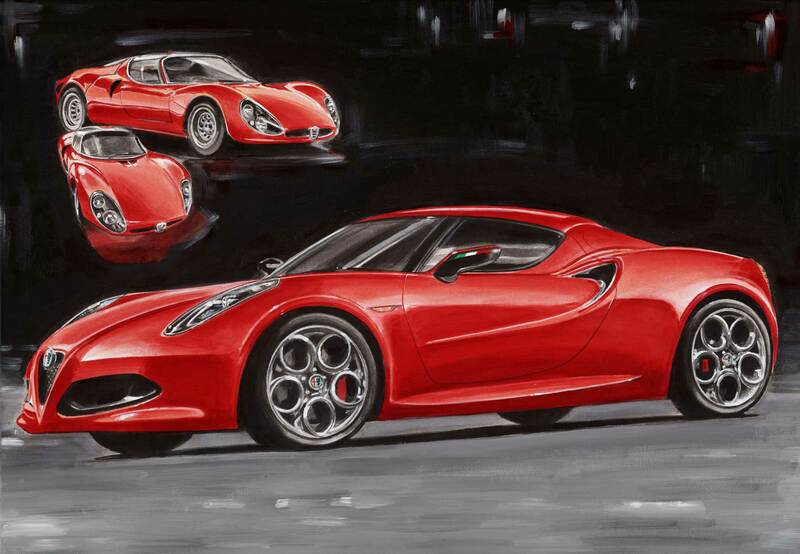 The original painting (technique: acrylic on canvas) of the Alfa Romeo 4C has a size of 70 x 100 cm and is for sale.